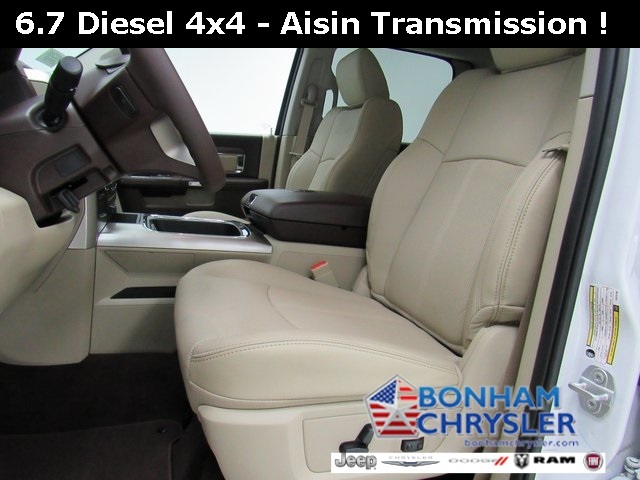 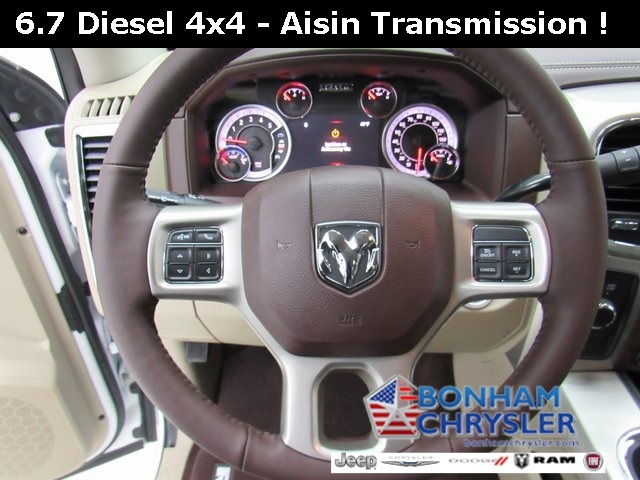 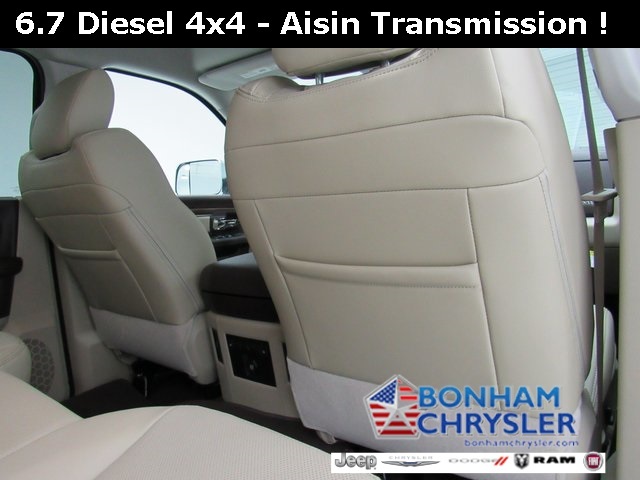 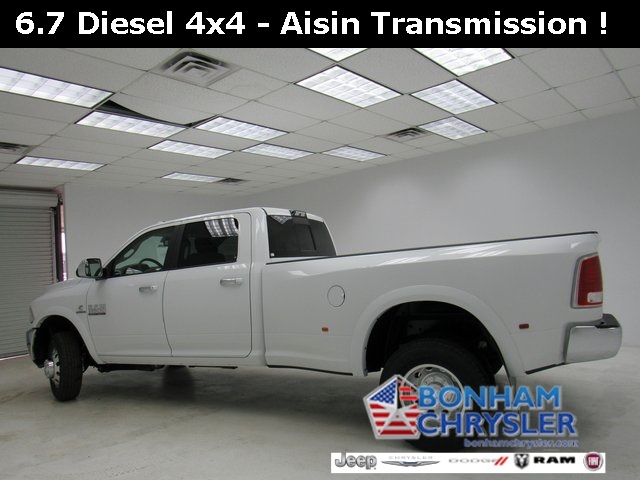 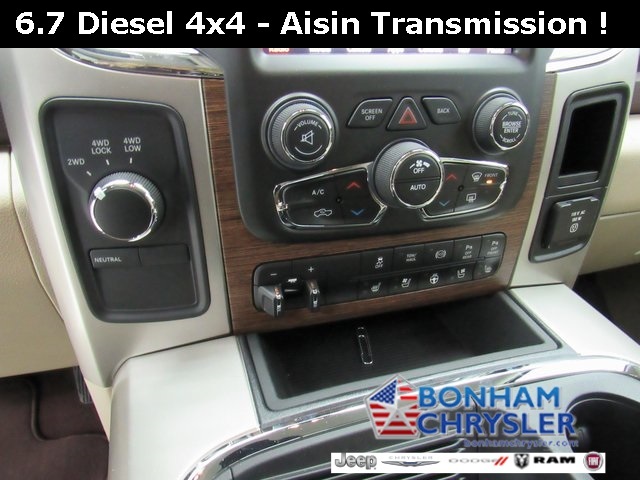 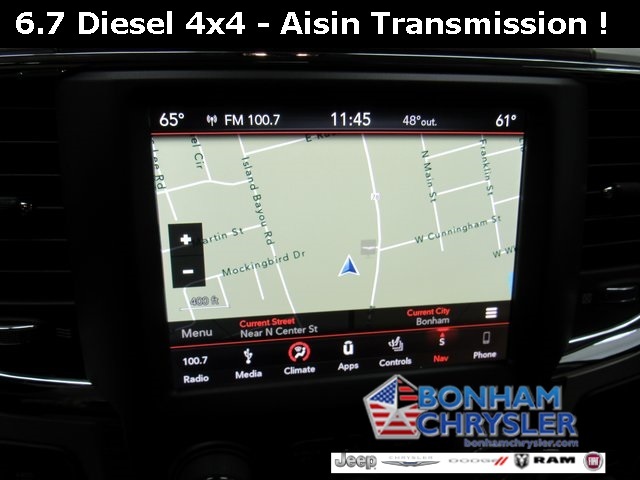 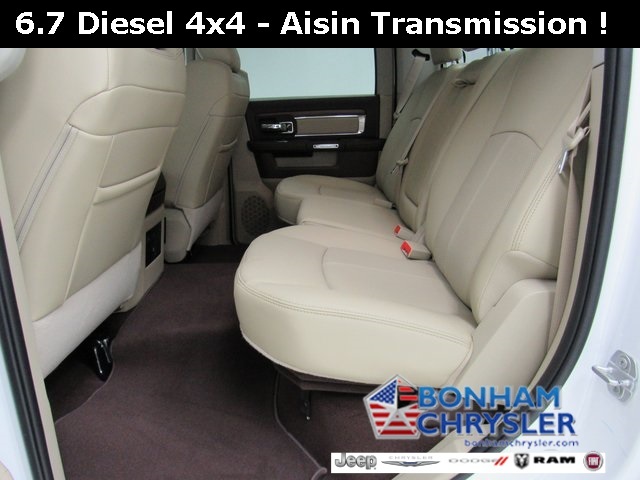 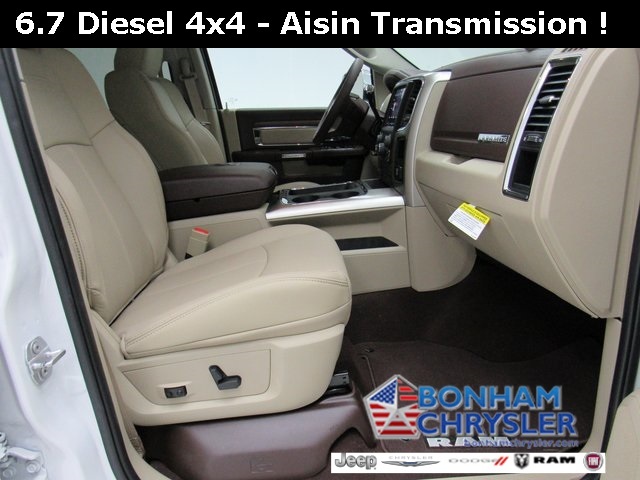 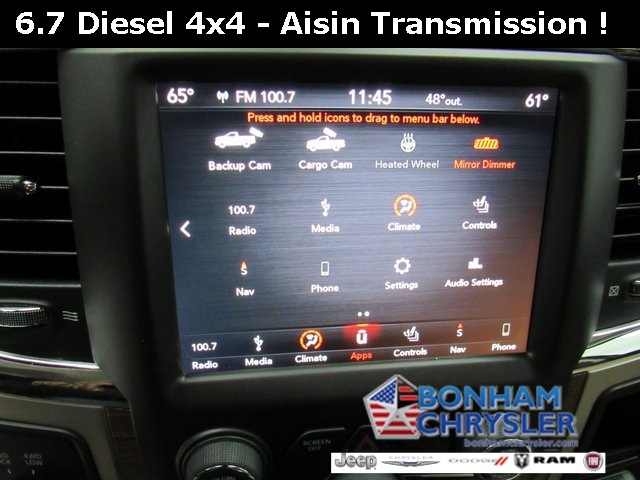 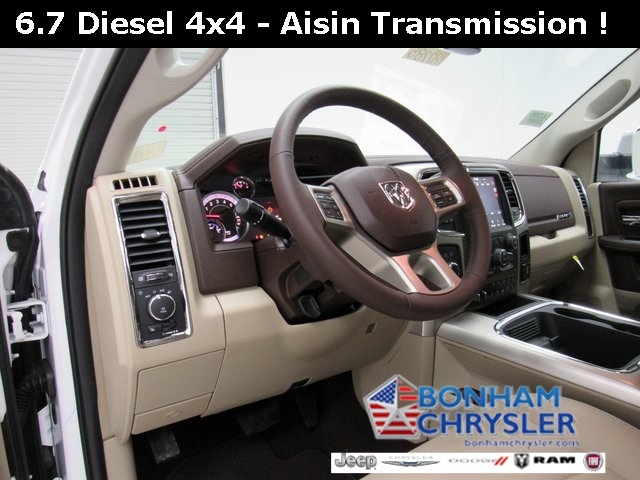 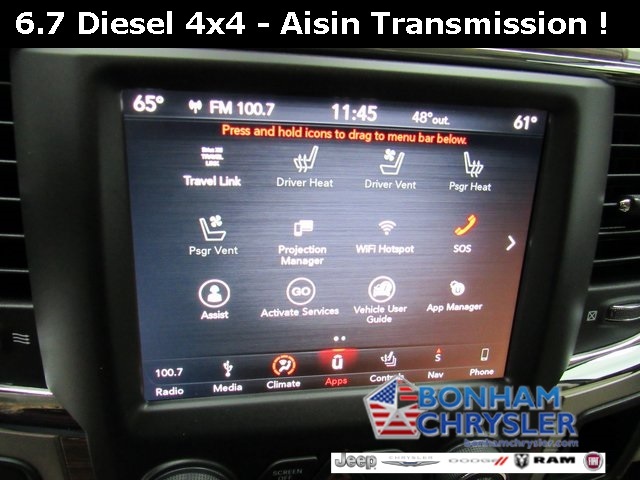 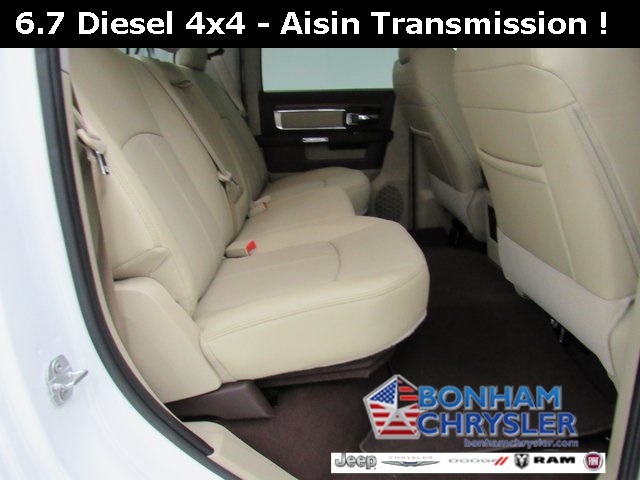 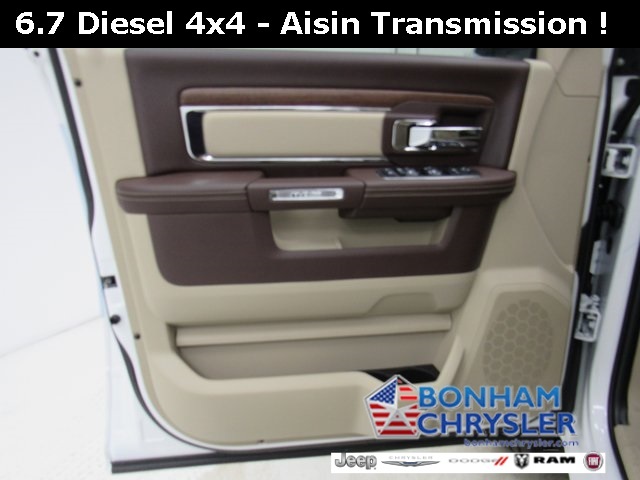 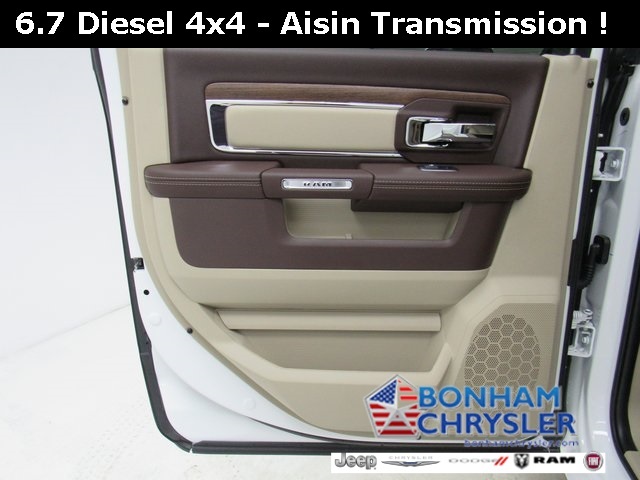 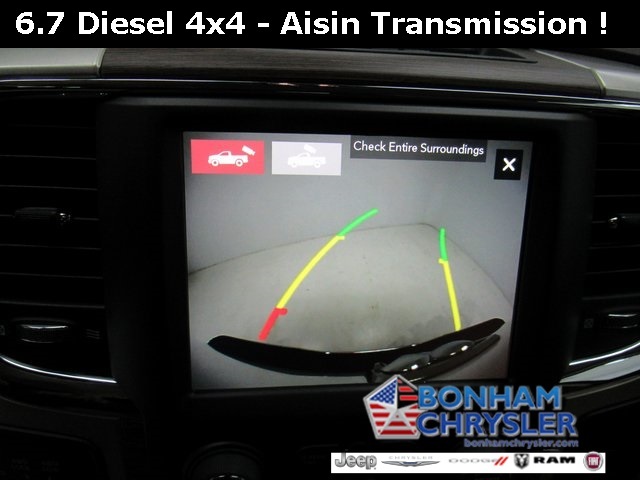 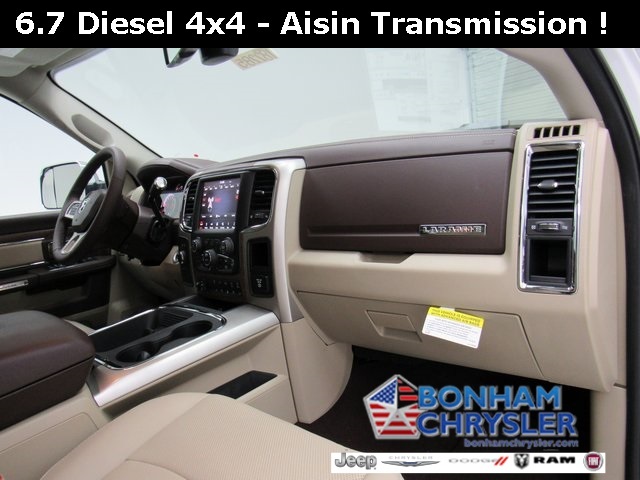 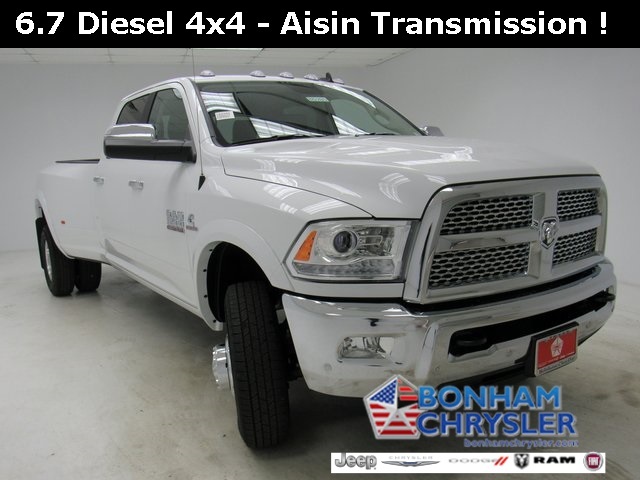 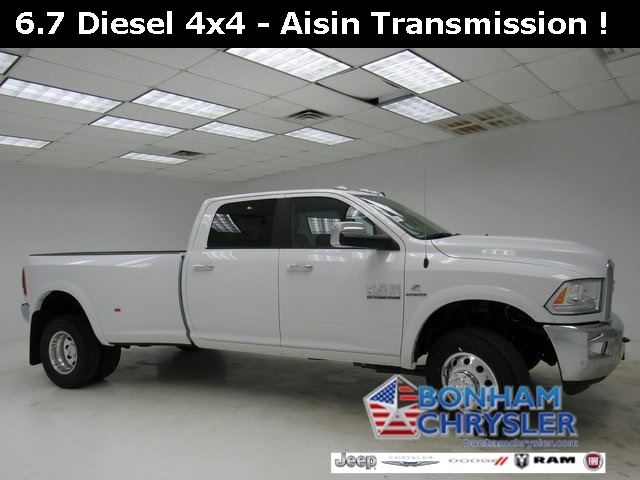 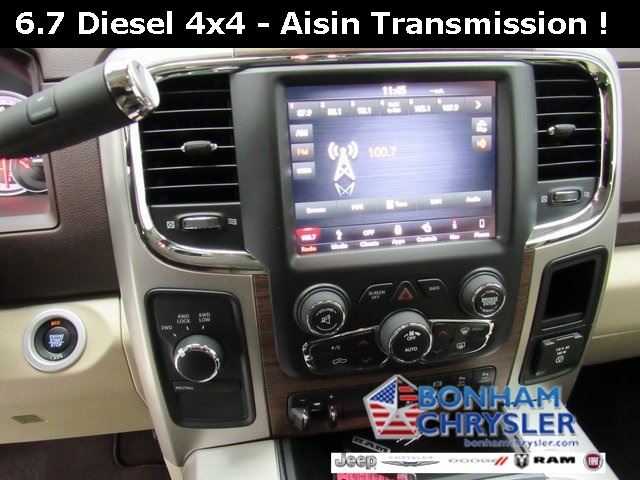 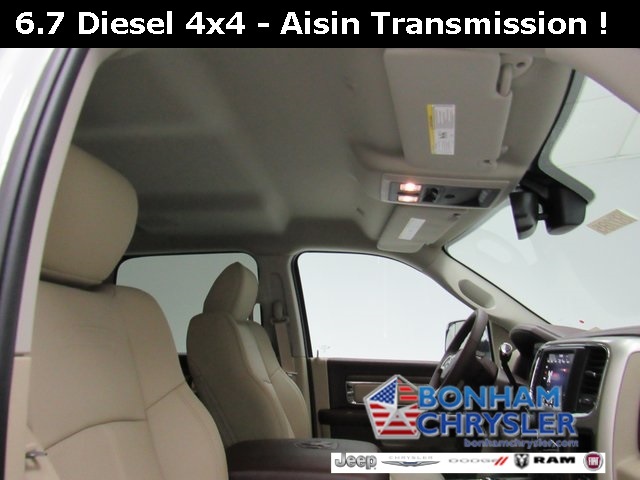 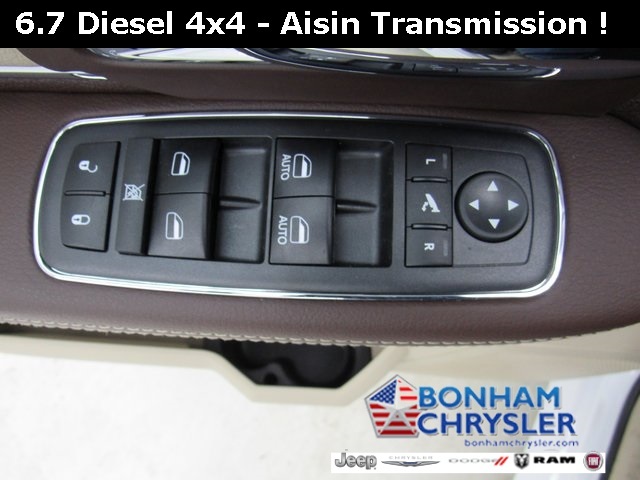 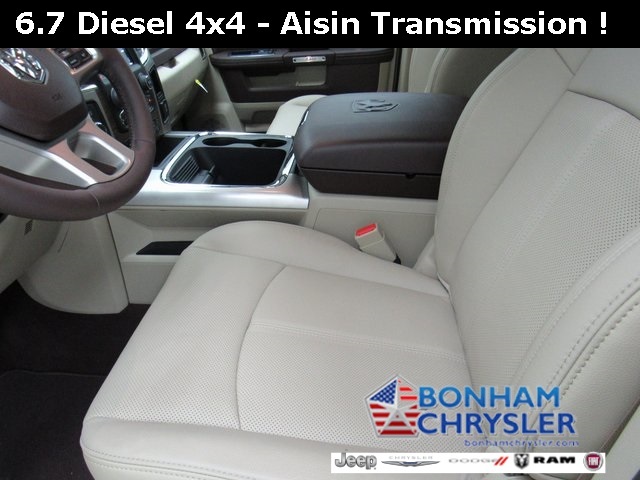 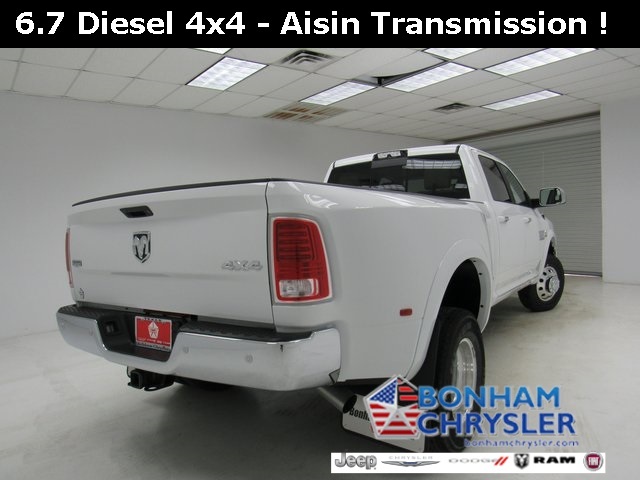 Heated/Cooled Leather Seats, Nav System, 4x4, Back-Up Camera, Turbo Charged Engine, KEYLESS-GO , TRANSMISSION: 6-SPEED AUTOMATIC AISIN. 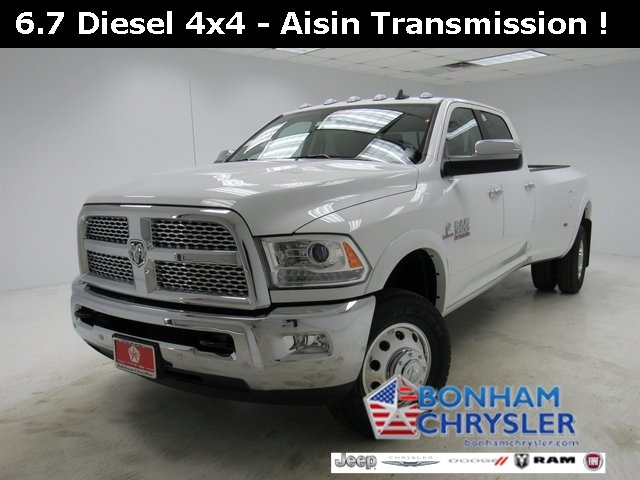 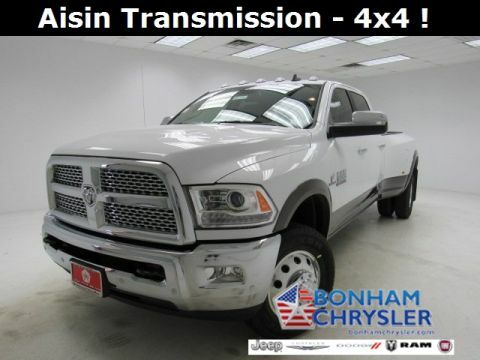 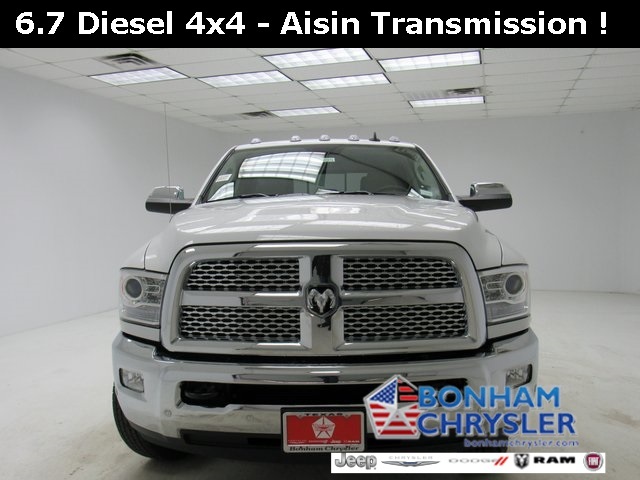 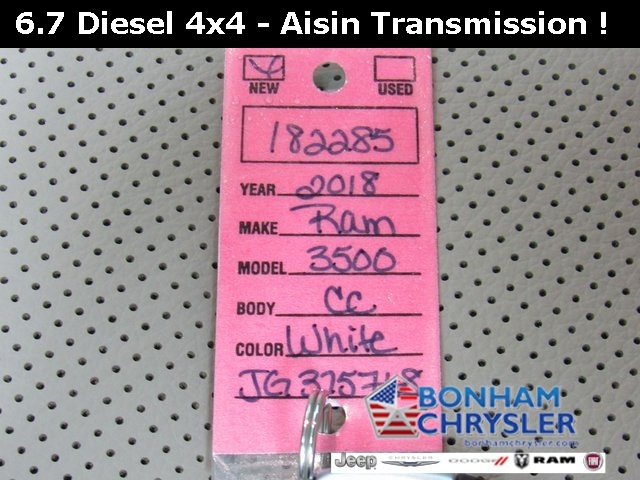 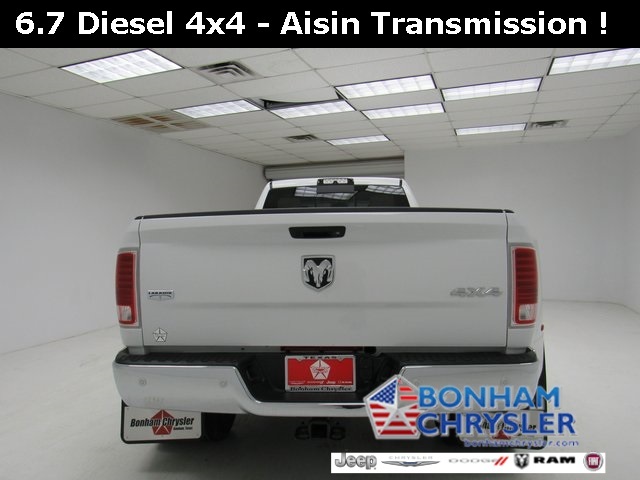 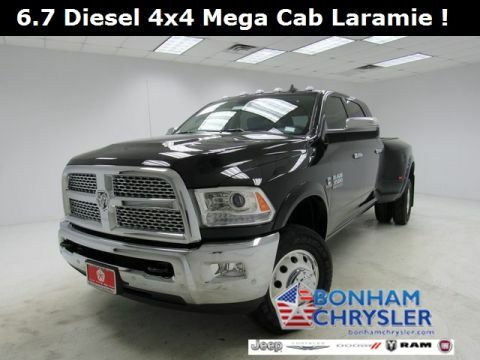 ENGINE: 6.7L I6 CUMMINS TURBO DIESEL, RADIO: UCONNECT 4C NAV W/8.4" DISPLAY. 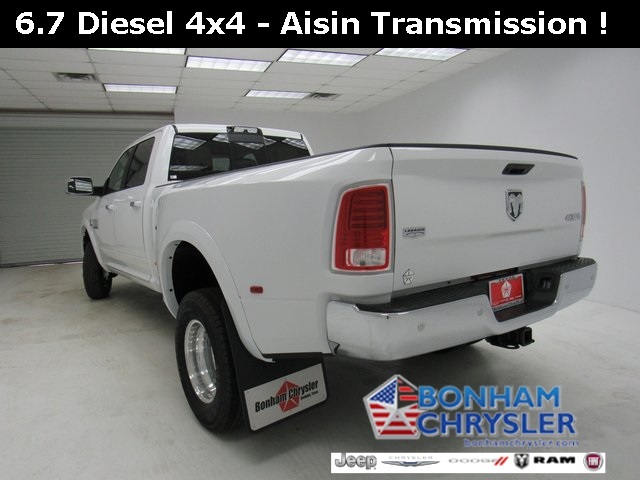 Aluminum Wheels. 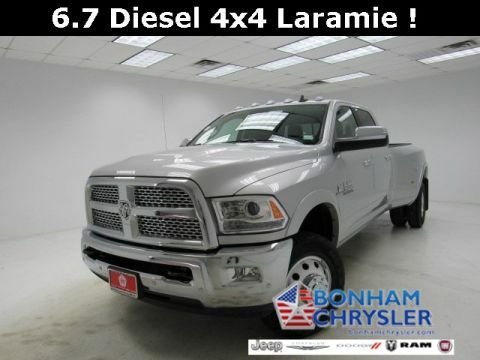 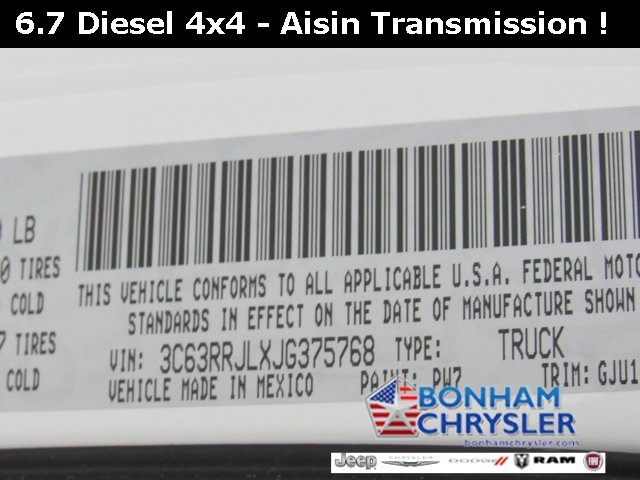 ENGINE: 6.7L I6 CUMMINS TURBO DIESEL Cummins Turbo Diesel Badge, GVWR: 12,300 lbs, Current Generation Engine Controller, Diesel Exhaust Brake, Selective Catalytic Reduction (Urea), RAM Active Air, TRANSMISSION: 6-SPEED AUTOMATIC AISIN AS69RC HD 3.42 Axle Ratio, Transmission Oil Cooler, RADIO: UCONNECT 4C NAV W/8.4" DISPLAY SiriusXM Travel Link, 5-Year SiriusXM Travel Link Service, 5-Year SiriusXM Traffic Service, 1-Year SiriusXM Guardian Trial, HD Radio, Media Hub (2 USB, AUX), SiriusXM Traffic Plus, GPS Navigation, REMOTE START SYSTEM, KEYLESS-GO Remote Proximity Keyless Entry.